This unit was checked by professional technician. “There are some tiny scuff on the body. But, overall the body is in good cosmetic condition. 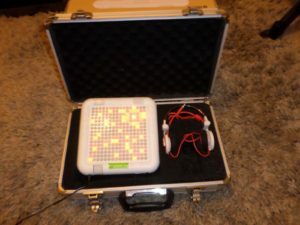 “Rare Tenori-On with a sturdy custom case, all in great working condition. Stylish Wesc Headphones, 2GB SD card, power adapter, and original box included. 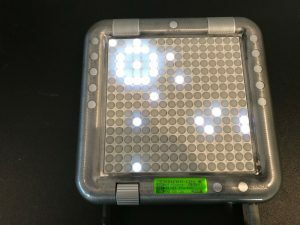 All-in-all, a great and hugely fun bit of kit, great for music producers, DJs, or just lovers of tech! 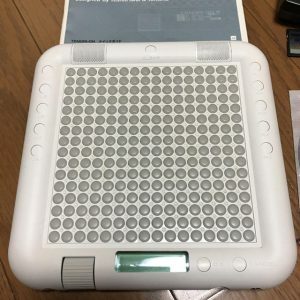 “Yamaha Tenori On ORANGE. The Orange version of this rare synth. 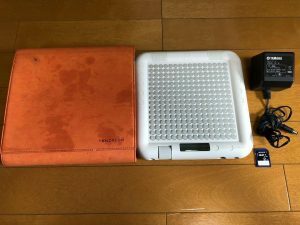 The Orange version does everything that the white one does, but it doesn’t have led’s on the back, just the front. Many people prefer the orange look and I must say, I think it looks amazing. 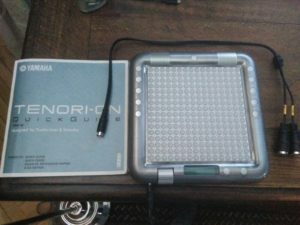 It’s in tiptop condition, no real marks of wear and tear and everything works fine. It sounds amazing. 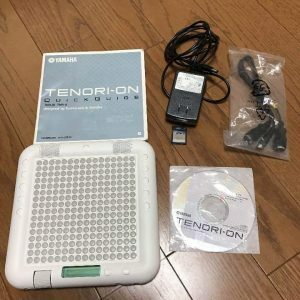 Comes in it’s original box and with midi lead and PSU. “Quite rare in Europe, especially in such great condition. 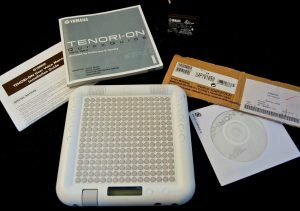 “Tenori-On white model with power adapter, original box, desktop stand and adapter for mounting on a microphone stand. It is in working condition, powers on. 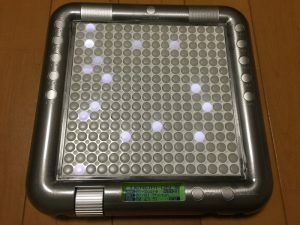 Is a real fun way of making music with a visual aspect. 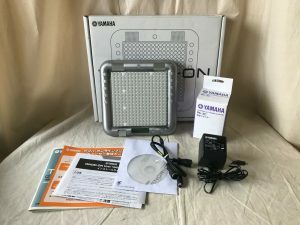 It’s in used condition but good working order, includes power lead but no original box. There is a Body where there is a damage or scratches. 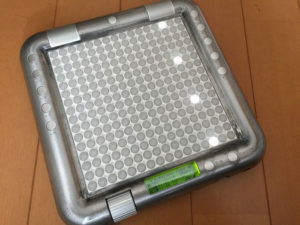 ” You are looking at my Rare Original YAMAHA TENORI-ON TNR-W by Toshio Iwai in a beautiful and light MAGNESIUM Metal CASE. 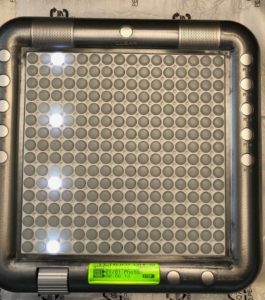 It has brilliant bright WHITE LEDS and is both sturdy and elegant. 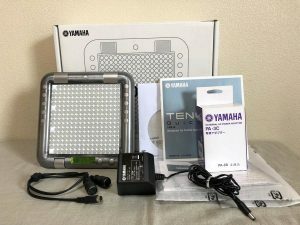 This YAMAHA TENORI-ON TNR-W has had very light use in a clean studio environment and as can be seen from the attached photographs is in fantastic almost ‘NEW’ condition. 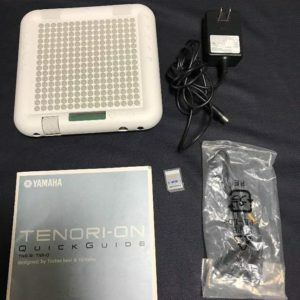 This YAMAHA TENORI-ON TNRW comes with all of its original packing and items all enclosed in its original box all which is in perfect condition.